If you mixed the nutritional virtues of spinach and beets, you’d get Swiss chard. It’s one of the healthiest vegetables available: it’s loaded with vitamins, essential minerals, fibre and an army of antioxidants. Swiss chard has not been studied as extensively as beets and spinach, but it has a valuable role to play in health. Like beets, Swiss chard contains plant compounds called betalains. These are the pigments that give the colour to the stalk and veins of the chard leaves, and they deliver powerful antioxidant, antiinflammatory and liver-detoxification support. They help the liver make more of the most powerful antioxidant in the body, known as glutathione. The leaves also contain an antioxidant called kaempferol (which offers potent heart protection) and syringic acid, which balances blood sugar and supports the production of insulin. The antioxidants in chard act as anti-inflammatory agents that decrease the risk of obesity, atherosclerosis, type 2 diabetes, high blood pressure and several forms of arthritis. Besides being an antioxidant powerhouse, chard is no slouch when it comes to conventional vitamins and minerals. 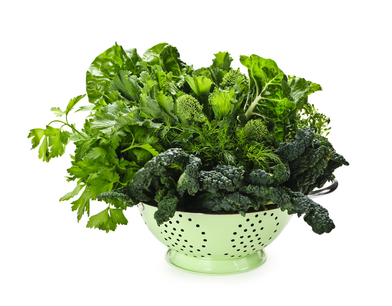 It contains vitamin K levels that make it third only to kale and spinach. Though most of the attention focuses on calcium, magnesium and vitamin D, vitamin K helps prevent bone loss. And friendly bacteria in the intestines convert vitamin K1 into vitamin K2, which activates osteocalcin, a protein whose job is to anchor calcium molecules inside the bone.